Gateway of India : Built in 1911 to commemorate the visit of George V and Queen Mary. I am standing near a massive archway, appropriately called the “Gateway of India” where the Arabian Sea swells against the shores of India 's most powerful and dynamic city – Mumbai. The rise and fall of voices, the cries of vendors, the persistent beeping of car horns, the rush and roar of traffic are the sounds of a city that throbs to the heartbeat of twenty million people who call it home. Taj Mahal Hotel Luxury 5 Star hotel that has hosted royalty, film stars and international VIPs. Drop into the iconic Taj Mahal Hotel, Mumbai's equivalent to Singapore 's Raffles Hotel, located just opposite the Gateway. It has played host to glamorous movie stars, eccentric maharajas, statesmen and international royalty. Brag-worthy experience: a peg of Scotch at the famed Taj Harbour Bar, or lunch (pricey) in the Sea Lounge. 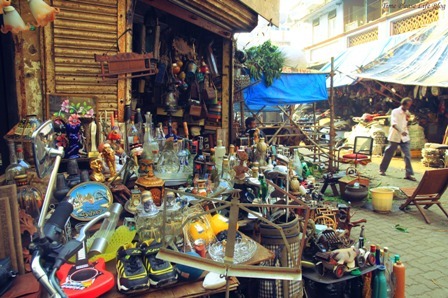 Colourful and chaotic, Colaba Causeway's restaurants and shops are just a short walk from the Taj. The sidewalks are crowded with stalls selling flashy knick-knacks and souvenirs. Avid shoppers haggle above the belch and wheeze of buses and blaring taxi klaxons. Pick up a faux-leather handbag, try on a pair of sandals, or haggle over the price of a miniature marble Taj Mahal. Cafe Mondegar, a Zoroastrian Irani restaurant has famed cartoonist Mario Miranda's murals on “Life in Bombay ” gracing the walls. Try their shandies (beer and lemonade) for a mid morning refresher. Further along the Causeway is Leopold Café, made famous by Gregory David Robert's book Shantaram . Students and foreign backpackers jam the place. Sip an iced coffee and eavesdrop on conversations interspersed with typical Mumbai slang – “Yaar” (buddy) and “Bilkul!” (absolutely!). Head to Colaba's 1 st Pasta Lane where the best of Mumbai's street food is to be had at a no-frills restaurant: Kailash Parbat. Order a plate of a Mumbai “chaat” specialty: bhel-puri—a combination of puffed rice, onions, green chilies, potatoes and chick-pea flour noodles, invigorated with a tamarind chutney. Finish the meal off with kulfi malai – a rich creamy cardamom-flavoured dessert. More snack enticements on the menu: samosas, dahi-wadas, pakoras, kebabs. Drop in to the Jehangir Art Gallery a short walk away at Kala Ghoda, and view a diverse exhibition of works by both traditional and contemporary artists. Stroll past the city's grand neo-Gothic buildings along Mahatma Gandhi Road : the University of Bombay with its Rajabai Clock Tower, and further on, the Bombay High Court. Both buildings face the Oval Maidan where several simultaneous matches by teams of cricket-crazy Mumbaikers are a familiar sight. 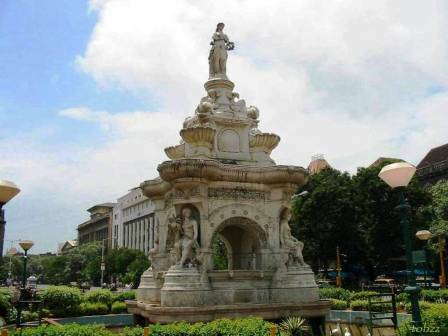 Flora Fountain stands at the centre of five arterial streets which pin-wheel off its hub (Hutatma Chowk). The surrounding buildings (banks and corporate offices) are stolidly Victorian and the area is reminiscent of London 's Piccadilly Circus. 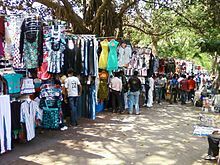 Be ensnared by the bustling sidewalk stalls of “ Fashion Street ” leading off Hutatma Chowk. On offer are colourful cotton kaftans, T-shirts, kurtas, fake designer jeans, hats, and more. Bargaining is de rigueur. Victoria Terminus: officially called Chhatrapati Shivaji Terminus, it is popularly referred to as “VT”. A Victorian Gothic-style building and World Heritage site, the exterior boasts carvings of animals, flora and fauna, flying buttresses, portrait roundels of human faces, and stone mesh works on the decorated rose windows. Architectural marvels aside, it is the hub of both long distance railway traffic across the subcontinent, and a suburban service carrying a staggering three million commuters a day! 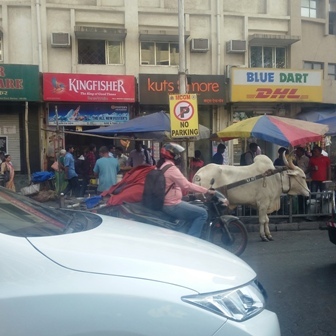 Mumbai streets teem with bullock carts, motorbikes, cars, buses, hand-carts, jay-walkers, as well as a few amiable cows that sit chewing the cud mid-street. They are effective brake testers.. 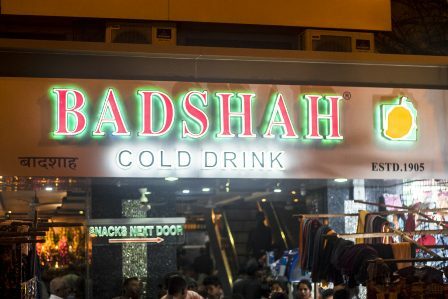 Pop into Crawford Market's Badshah snack bar and try their renowned kesar falooda – a rose-syrup flavoured drink made with milk, cream, nuts, saffron and pistachios and vermicelli. Explore Chor Bazaar (Thieves Market): Ride a cab through the congested and winding lanes off Mohammed Ali Road to Mutton Road . The shops here offer a cornucopia of unusual treasures (and fascinating trash) ranging from vintage gramophones, chandeliers, clocks, miniature cars and trains, bronze statues, bells and trumpets – and even old biscuit tins! Dress conservatively and bargain ruthlessly. 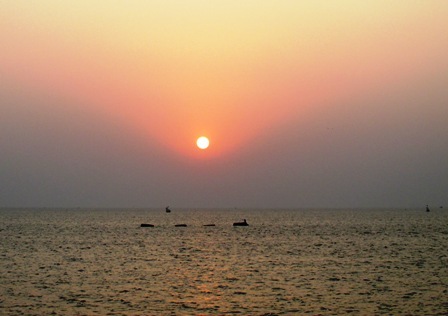 Stroll along Marine Drive 's boulevard while taking in a spectacular sunset over the Arabian Sea . People-watch at Chowpatty Beach where families frolic in the cooler evening breezes. Try roasted, chili dusted, lemon-juice squeezed corn-on-the-cob from a hawker's stall. Visit Mumbai's Hanging Gardens on Malabar Hill and linger along meandering pathways flanked by flower beds and topiary bushes. 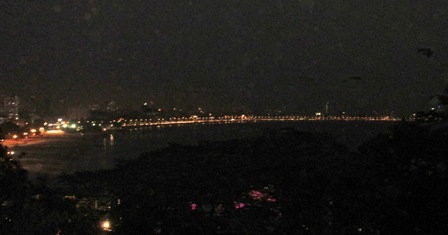 As darkness falls, cross the road to the adjoining park to look down to the “Queen's Necklace” – a glittering arc of lights along Marine Drive. To end your day, splash out for dinner at China Gardens , a trendy restaurant at Kemps Corner, Malabar Hill. General Information : Taxis are antiquated vehicles but inexpensive (pay by meter); Also available – Uber and Ola cabs.